Motorola's proven to be something of the voice of reason within the phone industry these past two years, what with devices that increasingly target consumers who have primarily practical concerns when buying a new device. For example, its portfolio of devices now includes extremely high-value propositions relative to cost, its rather hands-off approach to software skinning has also won the company a lot of fans as it means faster updates, and just yesterday we added an exciting new reason to like Motorola: shatterproof displays. Guaranteed. Yep, Motorola's new DROID Turbo 2 comes with a display stack consisting of 5 layers, all of which work as one to ensure that even if you drop your phone, the screen won't shatter or crack. The now Lenovo-owned company is so confident of its tech, which it calls ShatterShield, that it's giving out a rad, 4 year guarantee that your display will survive. That's pretty amazing, and yet another reason to buy a Motorola device — right up there with the traditionally humongous batteries it puts in them. 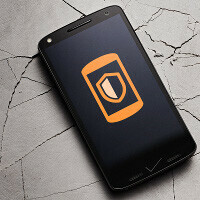 But is this the way forward for Motorola? After all, we've seen time and time again that appearances are extremely important with the average consumer, not least because these advantages that we've mentioned aren't immediately obvious to him. Well, according to our Tuesday poll, 54% think that Motorola is onto something, while only 4% consider this the wrong way to go. The remaining votes are split between folks who think that pragmatism can only get the company so far (36.43%) and those who don't see a large enough group of discerning buyers to make Motorola's efforts count. For consumers yes, but for a company No. Medium budget phone customers will love it. The top end crazy people will always opt for top notch spec devices from Apple or Samsung. Also by skinning most custom software to match pure Android, these phones lose identity, and Moto as a company lose much more capabilities in case they ever want to move out of Android or there is some new technology happen. My first phone was a Motorola and I want my next one to be from them. Lenovo need to make the availability of Motorola's phones be much greater. Motorola is no more available where I live. If it weren't for the Nexus line, I'd probably buy a Moto every year.